Empatic is a new weight loss pill being developed by Orexigen Therapeutics, a company, which specialises in creating new medicines by combining other medications already used to treat other conditions. The diet pill combines Bupropion, a medication used to combat depression and smoking, with the anti-seizure drug Zonisamide. Early results suggested that patients lost an average of 14% over 48 weeks when treated at the highest dose. Bupoprion is believed to increase levels of the neurotransmitter, dopamine, in the brain, which seems to encourage a reduction in a patient's appetite and encourage the body to use up more energy. Zonisamide is usually used to combat a form of epilepsy that causes partial seizures. In trials at Duke University in the US, taken alone it seemed to lead to a small amount of weight loss. Both medications target the pathways to the hypothalamus of the brain, which control appetite and energy expenditure. The combination of the molecules of the two drugs means that not only is weight loss initiated but it can be sustained. Orexigen is currently conducting phase IIb clinical trials to discover exactly how effective this medication is in promoting weight loss. In a double-blind, placebo controlled trial, 623 volunteers were recruited to take part. Amongst those taking the high dose of the medication, patients had lost 8.6% of their body weight compared with the 1% lost amongst the placebo group by the 24-week point in the trial. At the 48 weeks point, average weight loss was above 10%, regardless of the dose with patients completing the entire course of the trial at the highest dose experiencing weight loss of 15.1%. This was all done without adjustments to diet and exercise regimes. The patients in the trial generally did not report any major side effects. Overall, 14% of volunteers taking the medication stopped the program of treatment, which Orexigen says was not statistically different to the rate of discontinuation amongst the placebo group. Empatic is not yet available for sale, either in Europe or the U.S. Before any medication can be approved by the FDA or by the European Medicines Agency, they must go through three stages of clinical trials. Empatic is still only in the middle of stage II, so if it is approved by the FDA this is unlikely to be for a couple of years. Until Empatic or some other weight loss medication is approved, we can prescribe Xenical or Reductil for our overweight and obese patients. The Online Clinic offers free, no obligation weight loss consultations. 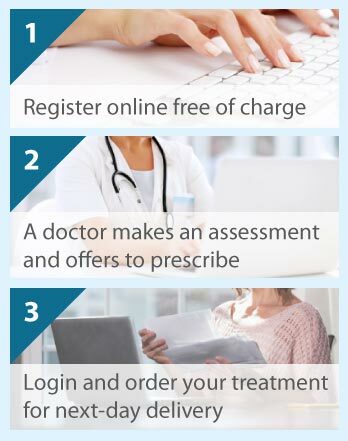 Please click on the Free Consultation icon to the right to begin your consultation with a registered doctor.